In goes mud, out comes gold! 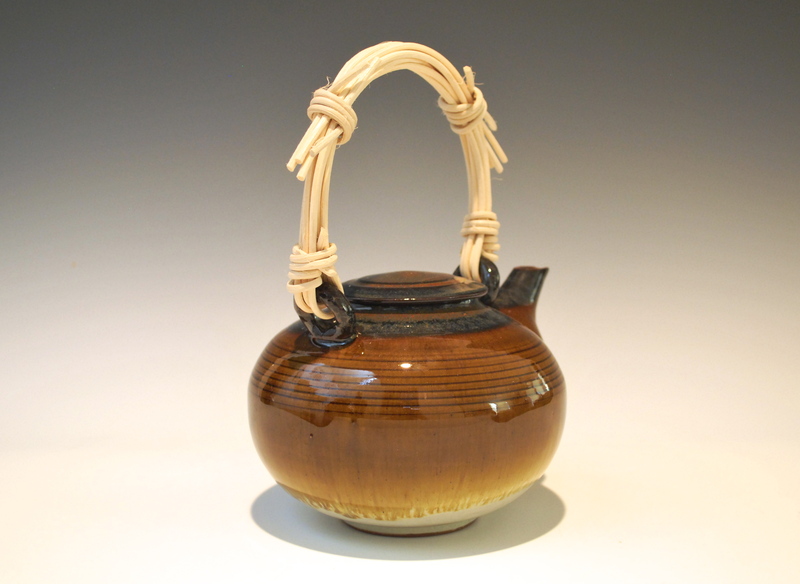 High gloss and luster shino glaze developed by Higher Fire Clayspace and Gallery in San Jose. In my quest for a new kiln/studio—my home studio is now a Kiln-free zone ordered by my landlord…long story and saga still unfolding—I have made myself at home in San Jose at Higher Fire Clay Space and Gallery. And with it two giant gas kilns and a very consistent reduction firings by equally competent studio managers and instructors. So, I now have a new series of works using a combination of Lehman’s Shino, Higher Fire Gold Shino and a dusting of Blue Celadon glazes. But with so many other beautiful glazes to choose from, I will have to continue to explore the many colors and combinations! HF Gold Shino in and out. 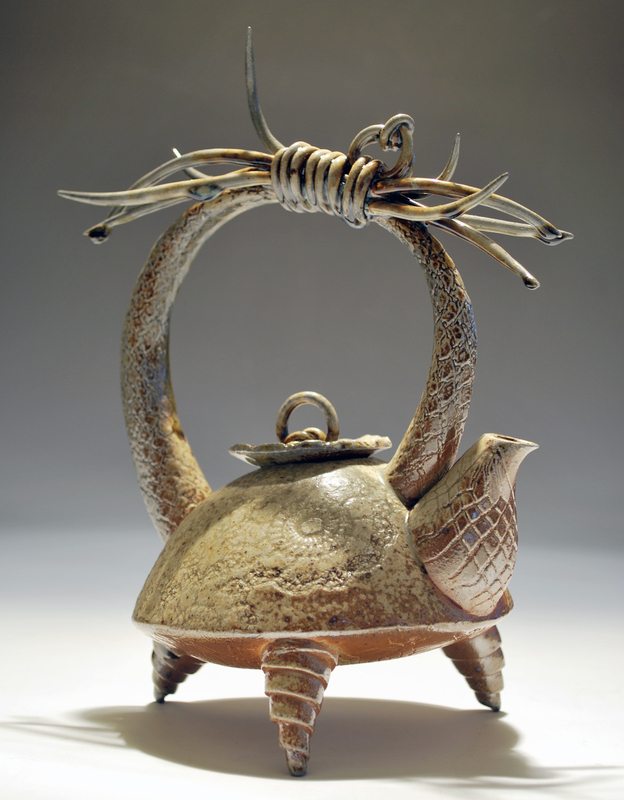 Very light application of Celadon. Still got a good showing of carbon trapping, The trays got over warped for my liking, out of 7, I got 3 good ones. These tumblers are a good size for tea and everyday water/juice cups. 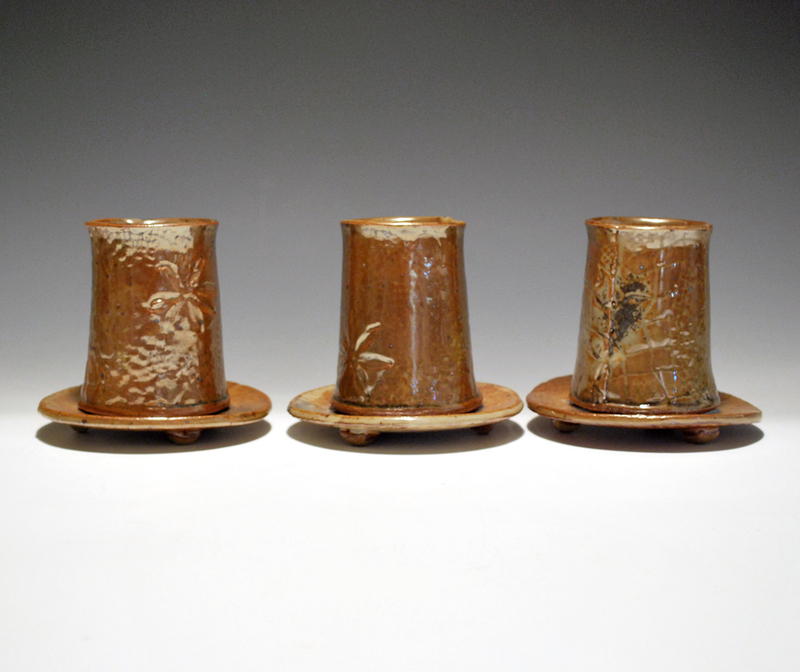 Dan Dermer, studio owner/potter, has formulated a special shino glaze recipe that puts gold on pots! 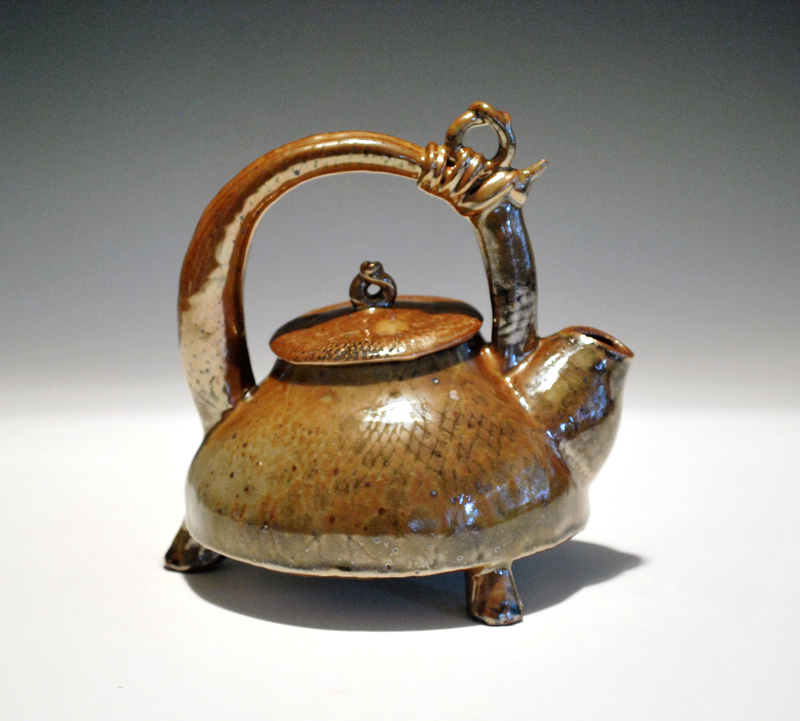 Super glossy and stable with rich gold and beautiful carbon trapping where the dusting of celadon is heavier. 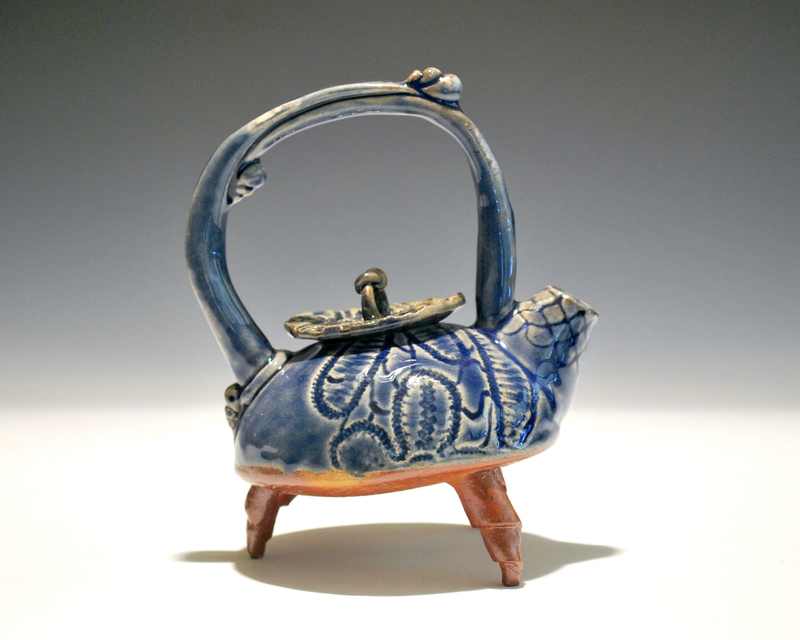 This teapot is lined with Temoku and Lehman’s Shino out…again with a dusting of Blue Celadon. Using Donegal from East Bay Clay. 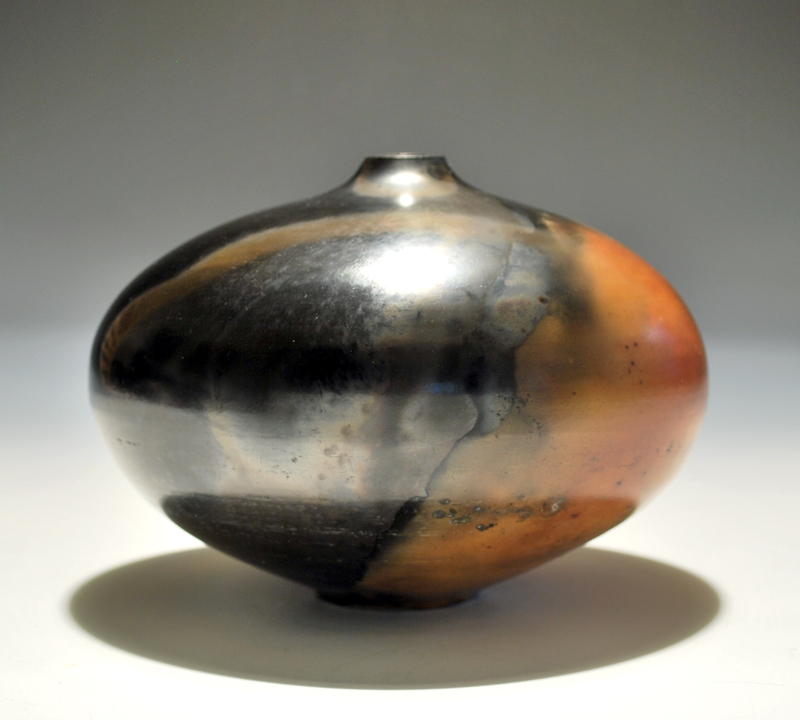 Bisque shows a pink blush and fires to brown in reduction. 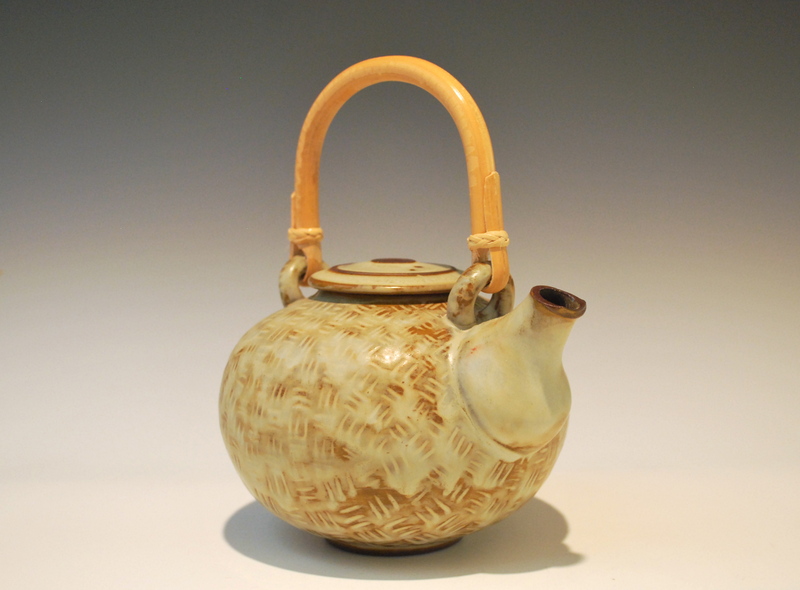 Except for the teapot, all HF Gold Shino. Very glossy and lots of luster to the finish. Needs heavier Celadon application for the carbon trapping, not sure I am completely sold on the intentional look of the carbon showings. 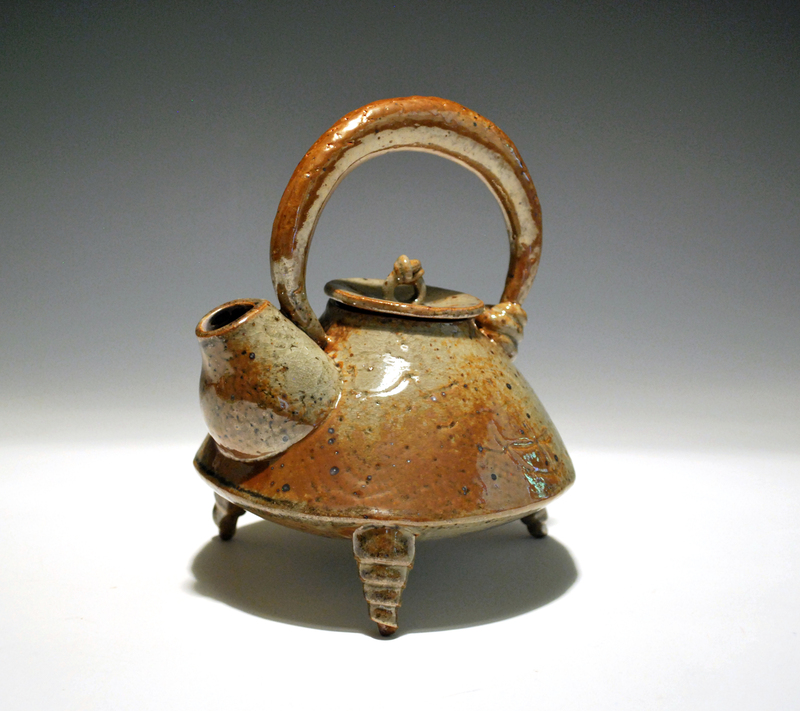 This teapot is a good balance between the HF Gold Shino and Celadon. 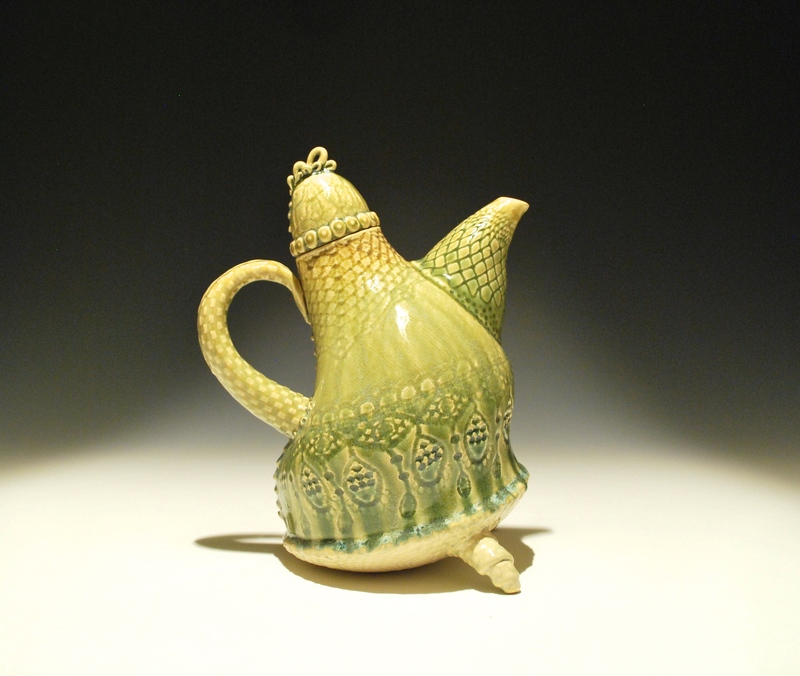 Still super luster on the handle and near the spout. 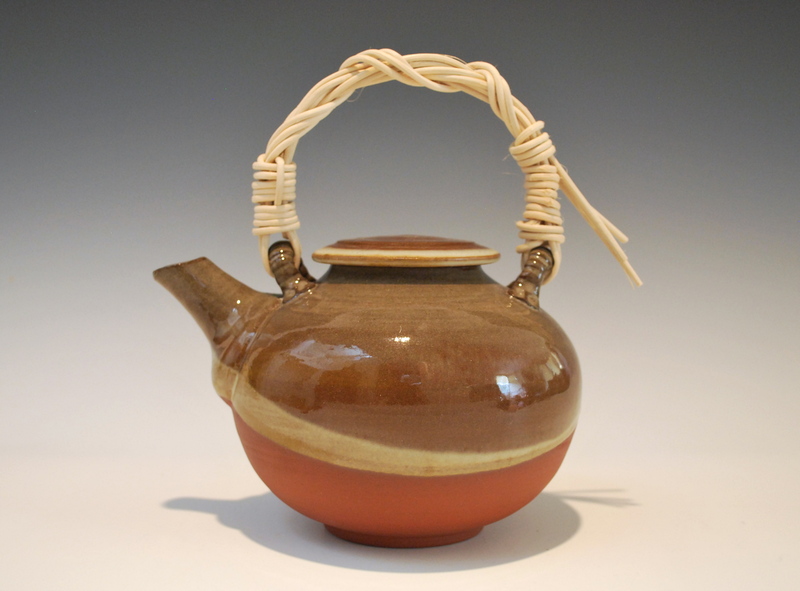 Also getting ready for the San Carlos Art and Wine Faire next weekend, and then I attempt to jury into ACGA-American Clay and Glass Artists…nervous about this one. Once accepted, it’s a live long membership (so long as you pay your dues!). Wish me luck. 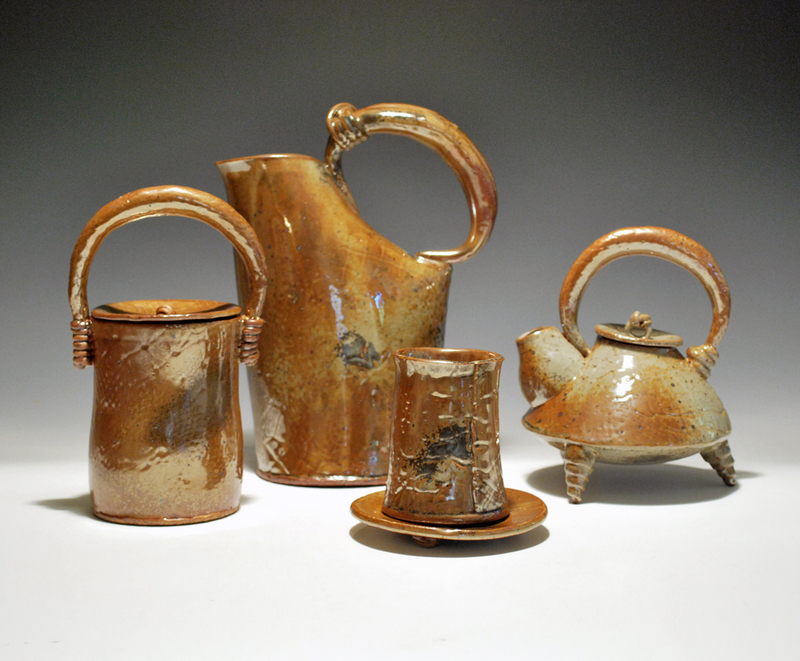 Author 2FrogsPosted on October 4, 2014 October 5, 2014 Categories Ceramic Pottery, Events, glazes, TeapotsTags 2Frogs Stuido, Ceramics, Cups, higher fire clayspace and gallery, Pottery, Shino Glaze, Teapots, Textured SlabLeave a comment on In goes mud, out comes gold!